Apple MacBook is equipped with a new T2 security chip, which uses a hard-breaking design, can automatically disable the microphone when necessary – such as closing the laptop screen. 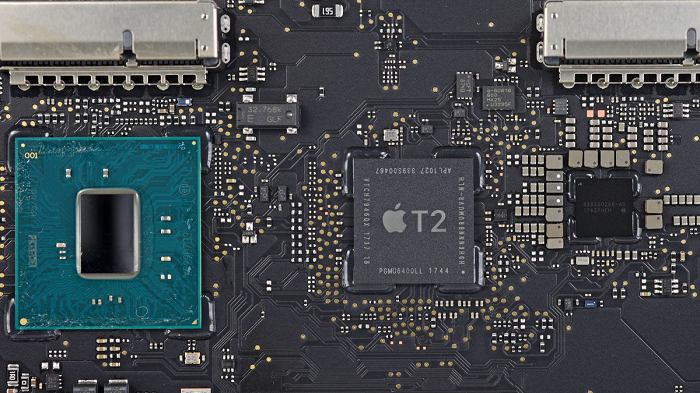 It is reported that the Apple T2 security chip is bundled with the Secure Enclave security zone coprocessor, which is designed to support MacOS’s Apple File System (APFS) encrypted storage, Touch ID, secure boot and more. As a result, when the MacBook is closed, even users running with the kernel or root privileges cannot eavesdrop on users. The webcam won’t be disconnected from the hardware when the screen is closed. Apple said: “The camera is not disconnected in hardware because its field of view is completely obstructed with the lid closed.” This hardware-based protection makes it extremely difficult for malicious attackers to eavesdrop.